At first, that may seem obvious. You’re not hiring 14-year-olds to run operations, right? But what if the 36-, 45-, or 52-year-old you hired acts more like a 14-year-old? Or even a 5-year-old? As you read this, I bet someone is coming to your mind. 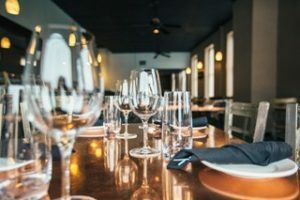 In my life’s work in collaborating with multi-unit independent restaurant company owners, one of the greatest things I have been able to do for them is eliminate drama in their businesses. “If you want drama, stream it on Netflix — don’t live it in your restaurants,” is something I have said many times. All my research points to one thing — that drama is always a byproduct of asking adults who act like children to run your business. When you stop doing that, life gets a lot easier, success comes more rapidly. I’m often involved in hiring recommendations for senior management: VPs of Operations, Operations Directors, Controllers, and CFOs. Many of my emerging clients have a need for people in these positions but have no experience in hiring at that level. So they turn to me. When I make a recommendation, it is very common for the candidate to ask me why I chose them. “Because you area true grown-up” is always part of my answer. 1. They are open. When they have a problem or a conflict, it is handled directly by picking up the phone or working it out face to face. They don’t speculate, hide, or circulate rumors. 2. They are trusted and respected. Consistent and predictable, grownups treat people with open mindedness, and are known for fairness and transparency. These qualities are genuine — they cannot be faked. 3. They don’t panic. They may be emotional about their passion for success, but they act with equanimity that puts people at ease and inspires confidence from others. Calm is preferable to agitation. 4. They lead balanced lives. Life is more than work. True grownups have outside interests and activities. They do not derive all their self-worth from their work. Eliminate adults who act like children from your organization. You will feel less stress, more harmony, and higher confidence — and you will succeed more rapidly. If you have children, I hope you enjoy your family at home as much as I do mine. But do not allow childlike behavior at work.